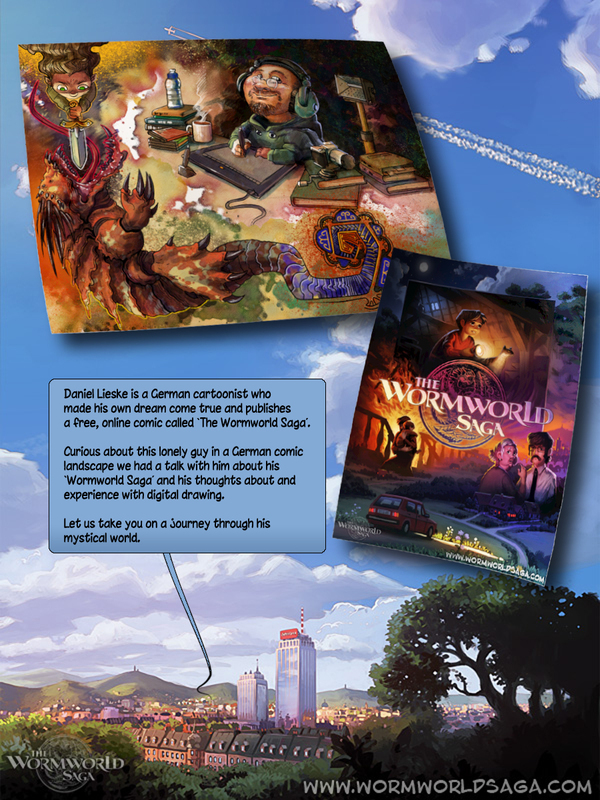 Daniel Lieske is a German cartoonist who made his own dream come true and publishes a free, online comic called ‘The Wormworld Saga’. 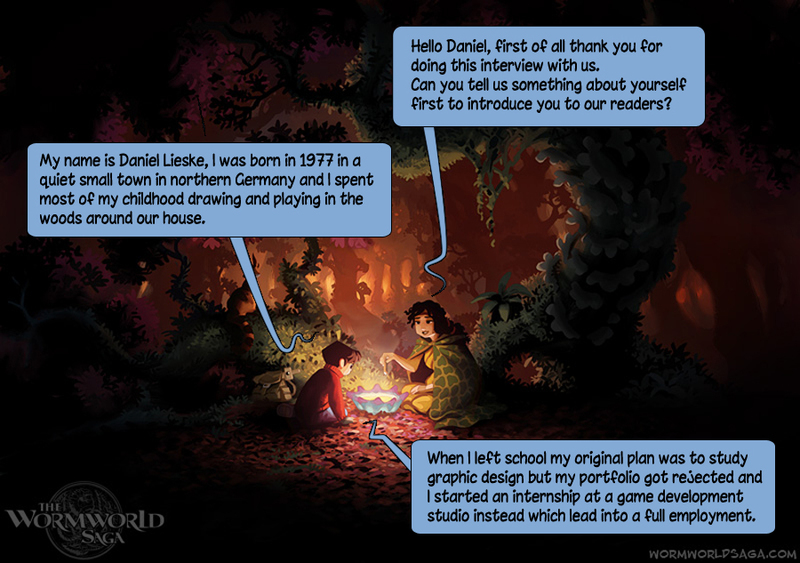 Curious about this lonely guy in a German comic landscape we had a talk with him about his ‘Wormworld Saga’ and his thoughts about and experience with digital drawing. Let us take you on a journey through his mystical world. Hello Daniel, first of all thank you for doing this interview with us. Can you tell us something about yourself first to introduce you to our readers? My name is Daniel Lieske, I was born in 1977 in a quiet small town in northern Germany and I spent most of my childhood drawing and playing in the woods around our house. When I left school my original plan was to study graphic design but my portfolio got rejected and I started an internship at a game development studio instead which lead into a full employment. That was a time when a love for games and some drawing skills where enough to make a career in game development. 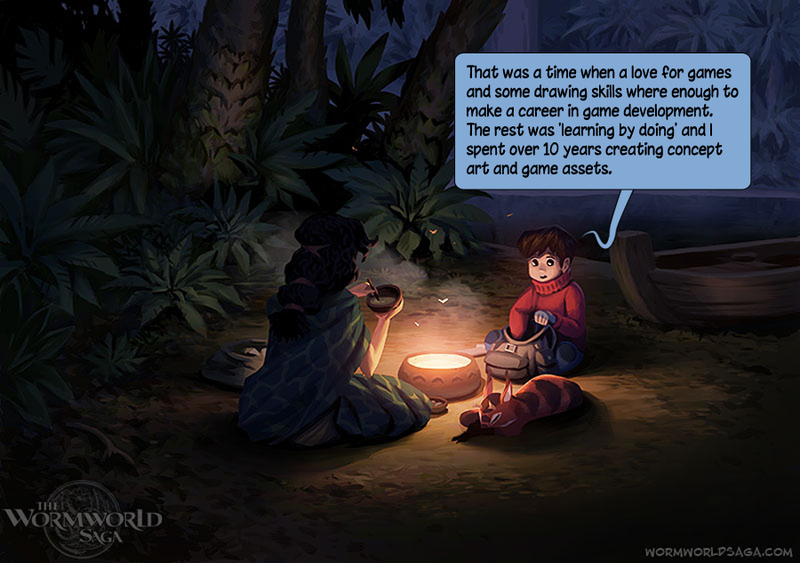 The rest was ‘learning by doing’ and I spent over 10 years creating concept art and game assets. 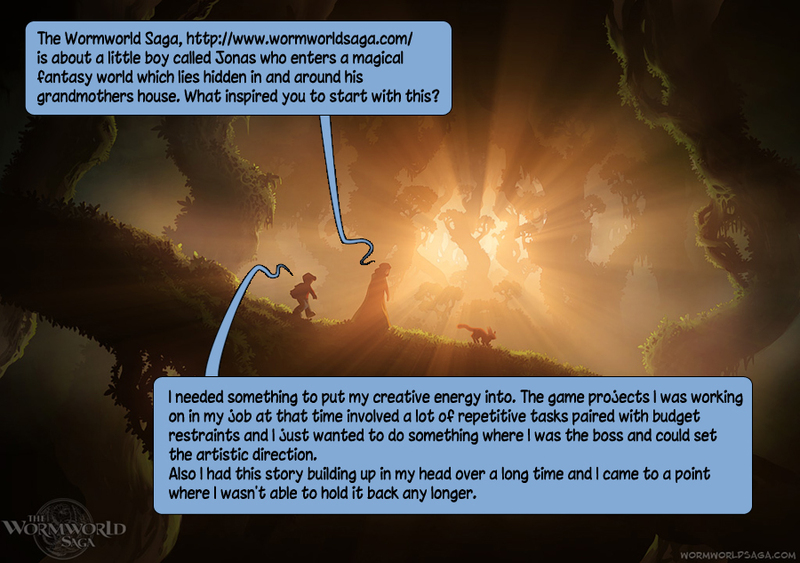 The Wormworld Saga, http://www.wormworldsaga.com/, is about a little boy called Jonas who enters a magical fantasy world which lies hidden in and around his grandmothers house. What inspired you to start with this? I needed something to put my creative energy into. The game projects I was working on in my job at that time involved a lot of repetitive tasks paired with budget restraints and I just wanted to do something where I was the boss and could set the artistic direction. Also I had this story building up in my head over a long time and I came to a point where I wasn’t able to hold it back any longer. 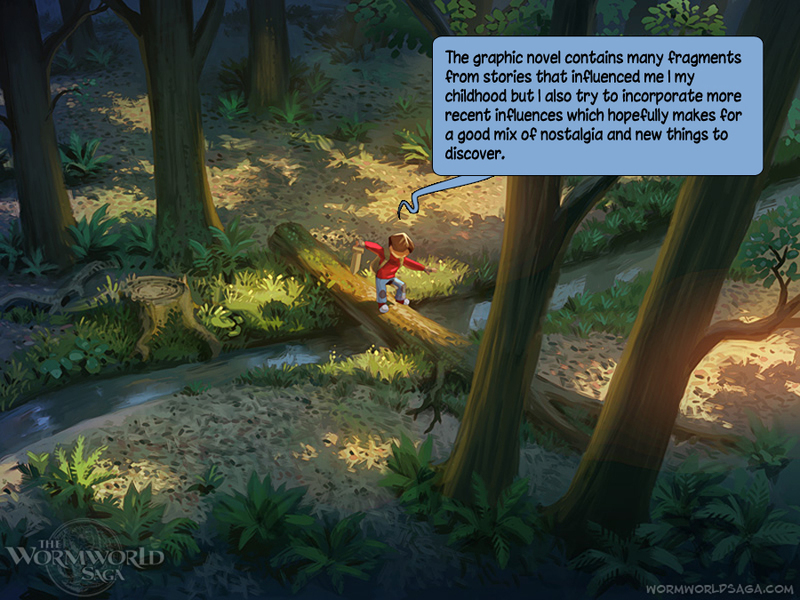 The graphic novel contains many fragments from stories that influenced me I my childhood but I also try to incorporate more recent influences which hopefully makes for a good mix of nostalgia and new things to discover. 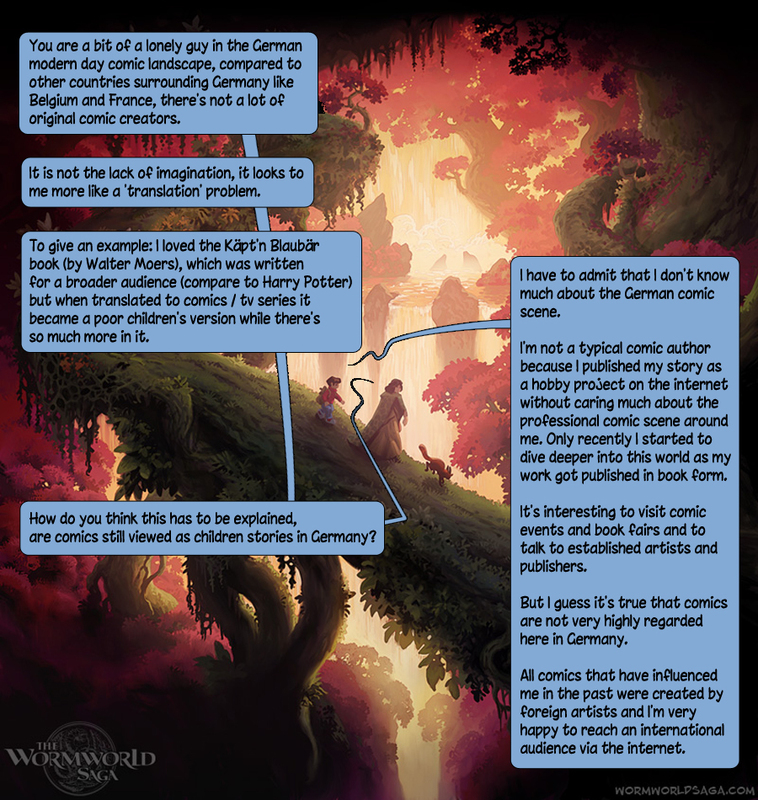 You are a bit of a lonely guy in the German modern day comic landscape, compared to other countries surrounding Germany like Belgium and France, there’s not a lot of original comic creators. It is not the lack of imagination, it looks to me more like a ‘translation’ problem. To give an example: I loved the Käpt’n Blaubär book (by Walter Moers), which was written for a broader audience (compare to Harry Potter) but when translated to comics / tv series it became a poor children’s version while there’s so much more in it. How do you think is this to be explained, are comics still viewed as children stories in Germany? I have to admit that I don’t know much about the German comic scene. 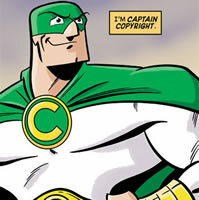 I’m not a typical comic author because I published my story as a hobby project on the internet without caring much about the professional comic scene around me. Only recently I started to dive deeper into this world as my work got published in book form. It’s interesting to visit comic events and book fairs and to talk to established artists and publishers. But I guess it’s true that comics are not very highly regarded here in Germany. All comics that have influenced me in the past were created by foreign artists and I’m very happy to reach an international audience via the internet. 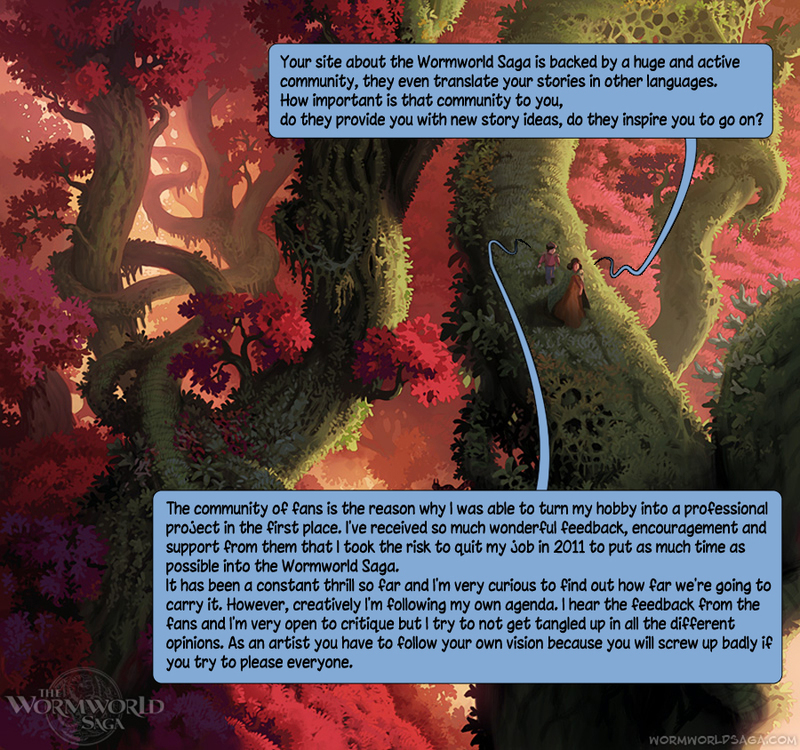 Your site about the Wormworld Saga is backed by a huge and active community, they even translate your stories in other languages. How important is that community to you, do they provide you with new story ideas, do they inspire you to go on? The community of fans is the reason why I was able to turn my hobby into a professional project in the first place. I’ve received so much wonderful feedback, encouragement and support from them that I took the risk to quit my job in 2011 to put as much time as possible into the Wormworld Saga. It has been a constant thrill so far and I’m very curious to find out how far we’re going to carry it. However, creatively I’m following my own agenda. I hear the feedback from the fans and I’m very open to critique but I try to not get tangled up in all the different opinions. As an artist you have to follow your own vision because you will screw up badly if you try to please everyone. 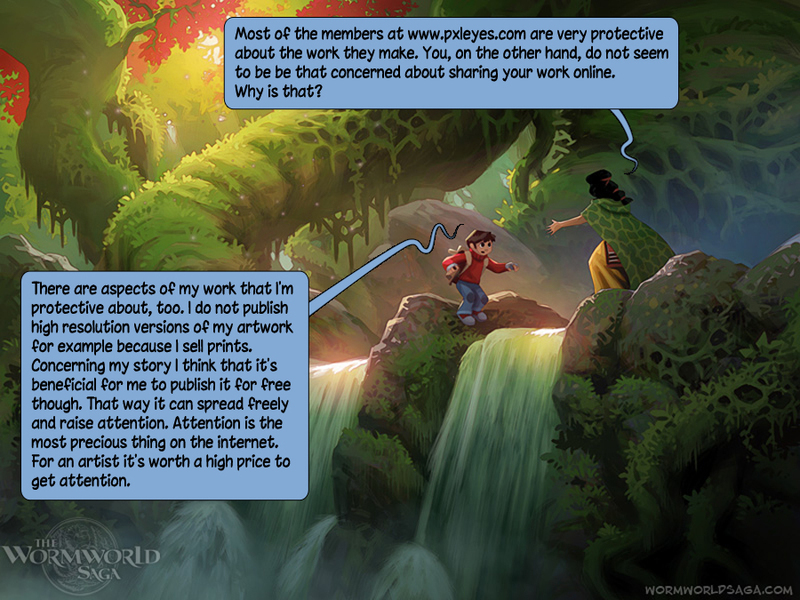 I see no advertizing on your sites, do you make a living of your drawings or is that still a wish? I think that there are better ways for artists to earn money than advertizing. 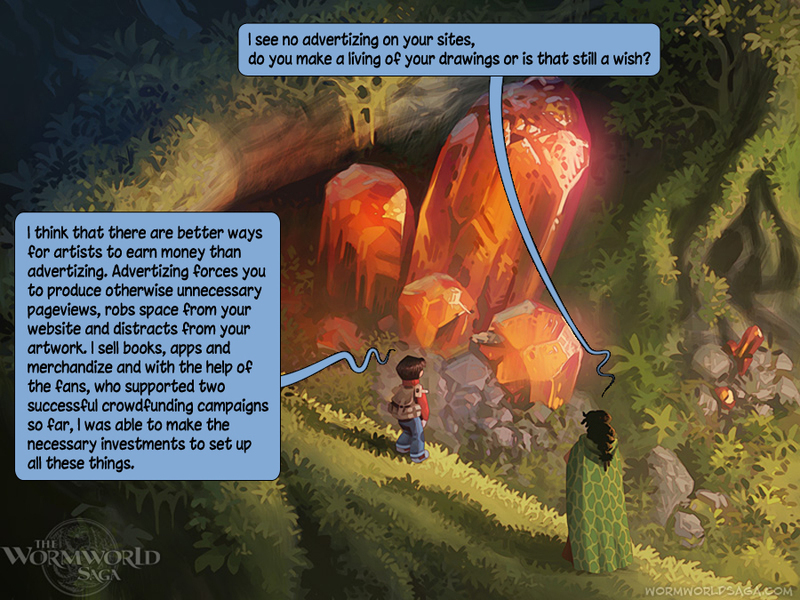 Advertizing forces you to produce otherwise unnecessary pageviews, robs space from your website and distracts from your artwork. I sell books, apps and merchandize and with the help of the fans, who supported two successful crowdfunding campaigns so far, I was able to make the necessary investments to set up all these things. Most of the members at www.pxleyes.com are very protective about the work they make. You, on the other hand, do not seem to be be that concerned about sharing your work online. Why is that? There are aspects of my work that I’m protective about, too. 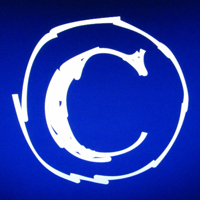 I do not publish high resolution versions of my artwork for example because I sell prints. Concerning my story I think that it’s beneficial for me to publish it for free though. That way it can spread freely and raise attention. Attention is the most precious thing on the internet. For an artist it’s worth a high price to get attention. Who or what inspires you? Who do you admire? It’s impossible to name all my inspirations. 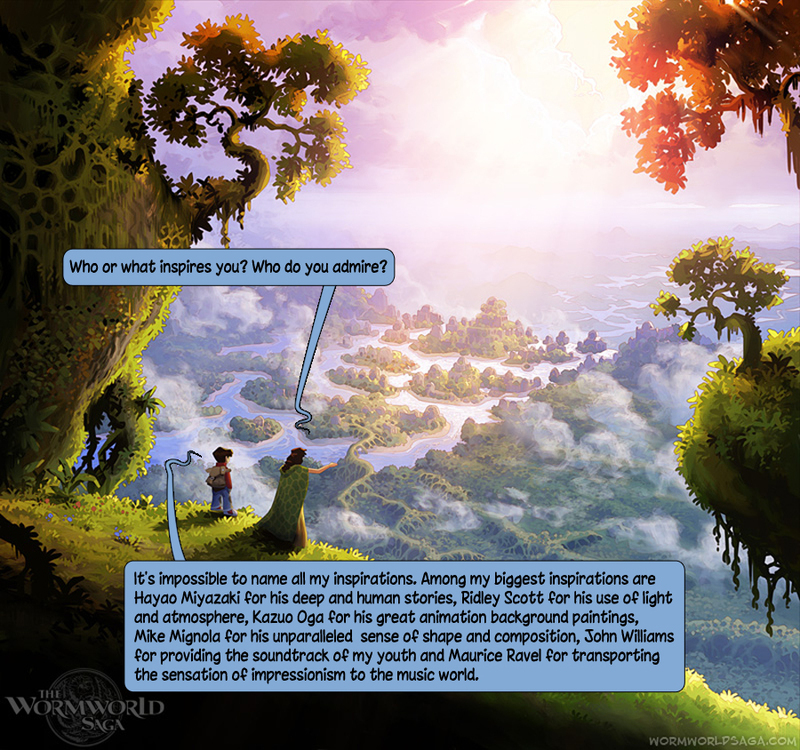 Among my biggest inspirations are Hayao Miyazaki for his deep and human stories, Ridley Scott for his use of light and atmosphere, Kazuo Oga for his great animation background paintings, Mike Mignola for his unparalleled sense of shape and composition, John Williams for providing the soundtrack of my youth and Maurice Ravel for transporting the sensation of impressionism to the music world. 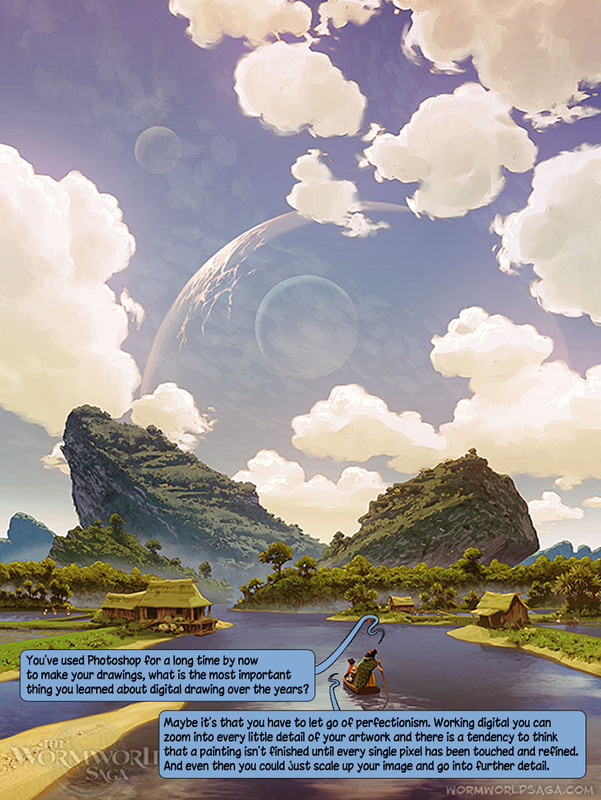 Do you use reference photos to get inspired on lets say the big landscapes or is everything coming from your mind? I love to virtually travel the world by using Google earth. Today you can find photos of just everything and you can discover stuff you didn’t even know existed. I think it’s important to root your designs in reality or people will have a hard time to relate to them. However, very rarely I’m able to rely on reference directly when I’m painting because my style isn’t photorealistic and I have to interpret everything in my style anyway. And of course I paint a lot of stuff that just doesn’t exist as a photo reference. 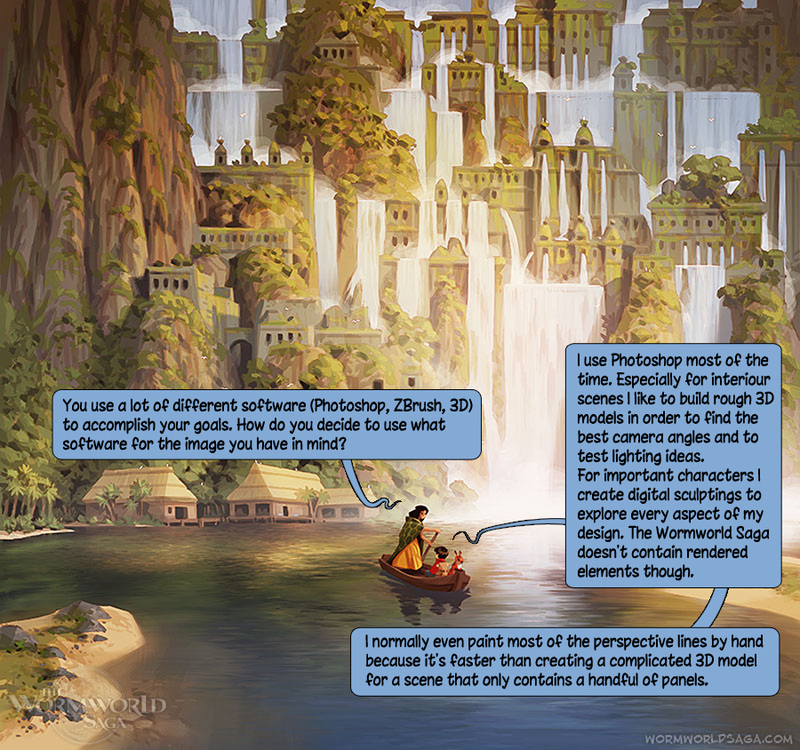 You use a lot of different software (Photoshop, ZBrush, 3D) to accomplish your goals. How do you decide to use what software for the image you have in mind? I use Photoshop most of the time. Especially for interiour scenes I like to build rough 3D models in order to find the best camera angles and to test lighting ideas. For important characters I create digital sculptings to explore every aspect of my design. The Wormworld Saga doesn’t contain rendered elements though. I normally even paint most of the perspective lines by hand because it’s faster than creating a complicated 3D model for a scene that only contains a handful of panels. You’ve used Photoshop for a long time by now to make your drawings, what is the most important thing you learned about digital drawing over the years? Maybe it’s that you have to let go of perfectionism. 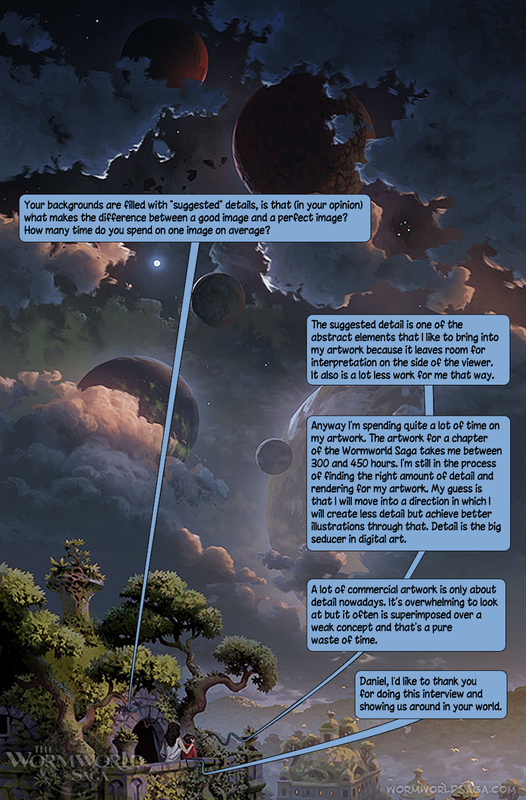 Working digital you can zoom into every little detail of your artwork and there is a tendency to think that a painting isn’t finished until every single pixel has been touched and refined. And even then you could just scale up your image and go into further detail. This used to drive me crazy in the past and it wasn’t easy to overcome for me. 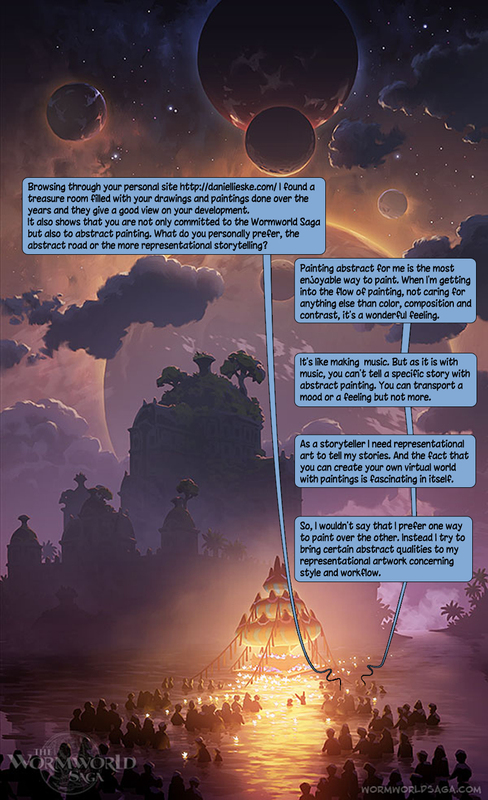 Another thing is to not concentrate on the painting tools as much as you could. I spent a lot of time in the past adjusting brushes and capturing brush tips. Today I’m using only a handful of brushes and they all are very simple. Keep your tools easy and concentrate on the image instead! 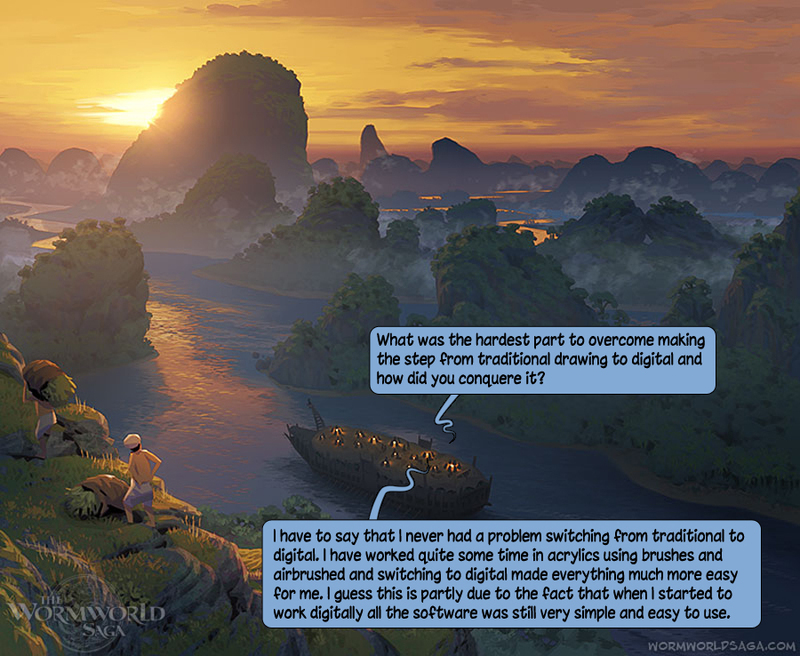 What was the hardest part to overcome making the step from traditional drawing to digital and how did you conquere it? I have to say that I never had a problem switching from traditional to digital. I have worked quite some time in acrylics using brushes and airbrushed and switching to digital made everything much more easy for me. I guess this is partly due to the fact that when I started to work digitally all the software was still very simple and easy to use. I remember a version of Photoshop that didn’t have layers! I’ve grown into all the new features we have today and I guess these programs can be a little bit overwhelming for the beginner. However, I also see that technology actually becomes easier to use. Physical rendering in 3D graphics for example is much more easy than traditional shading techniques. 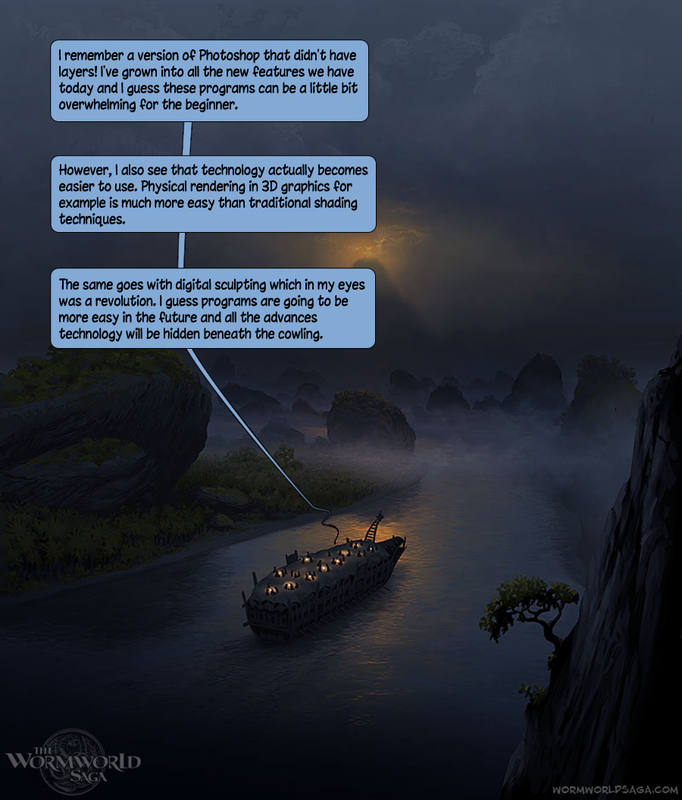 The same goes with digital sculpting which in my eyes was a revolution. I guess programs are going to be more easy in the future and all the advances technology will be hidden beneath the cowling. 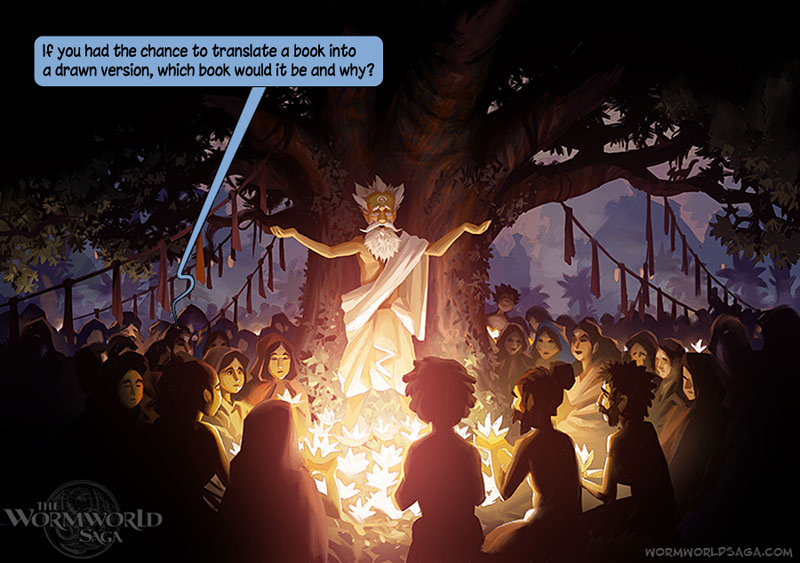 If you had the chance to translate a book into a drawn version, which book would it be and why? 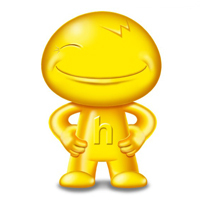 It certainly would be an H.P. Lovecraft story. This stuff simply screems to be painted. 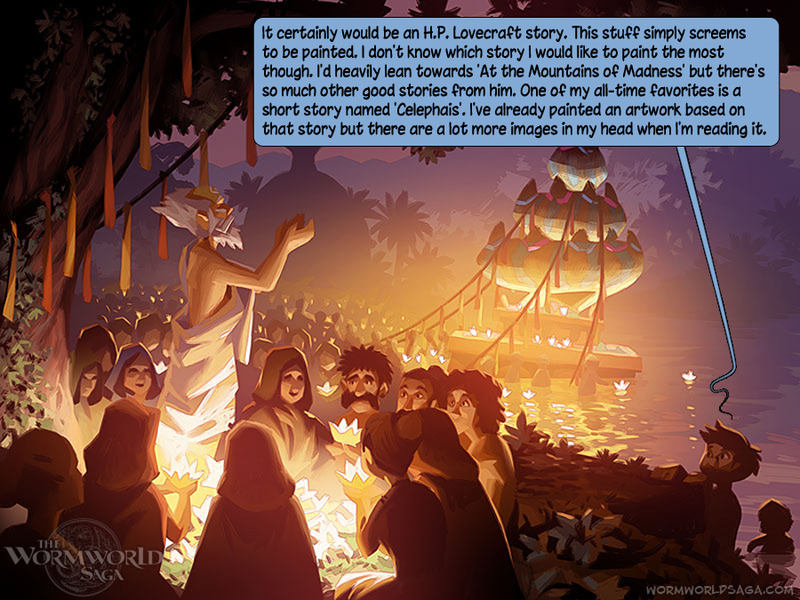 I don’t know which story I would like to paint the most though. I’d heavily lean towards ‘At the Mountains of Madness’ but there’s so much other good stories from him. One of my all-time favorites is a short story named ‘Celephais’. 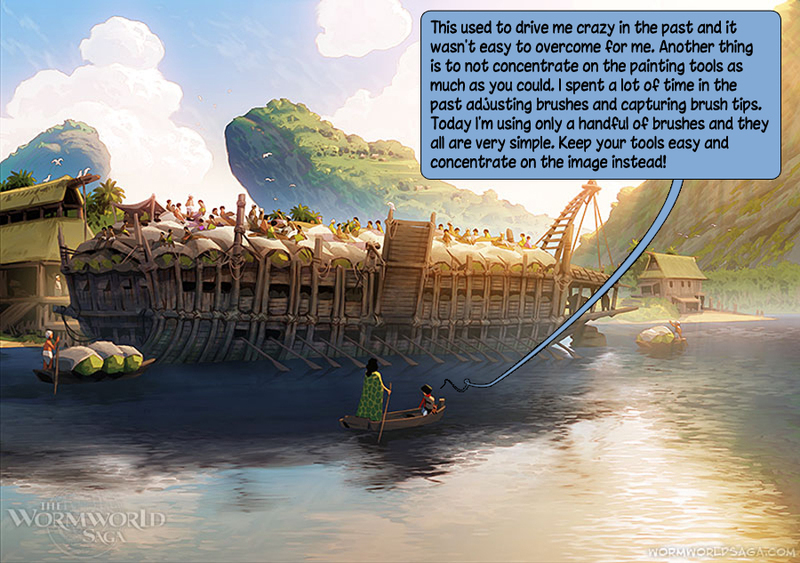 I’ve already painted an artwork based on that story but there are a lot more images in my head when I’m reading it. 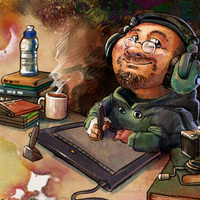 Browsing through your personal site http://daniellieske.com/ I found a treasure room filled with your drawings and paintings done over the years and they give a good view on your development. 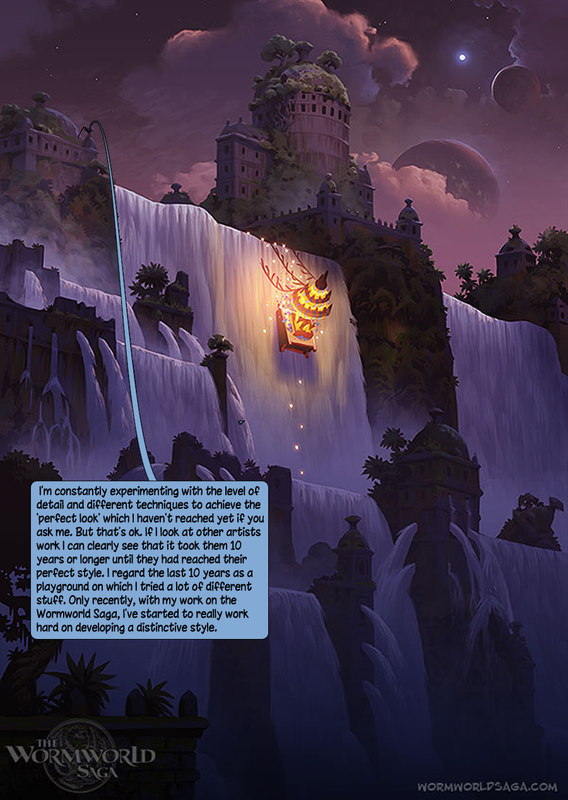 It also shows that you are not only committed to the Wormworld Saga but also to abstract painting. What do you personally prefer, the abstract road or the more representational storytelling? Painting abstract for me is the most enjoyable way to paint. When I’m getting into the flow of painting, not caring for anything else than color, composition and contrast, it’s a wonderful feeling. It’s like making music. But as it is with music, you can’t tell a specific story with abstract painting. You can transport a mood or a feeling but not more. As a storyteller I need representational art to tell my stories. 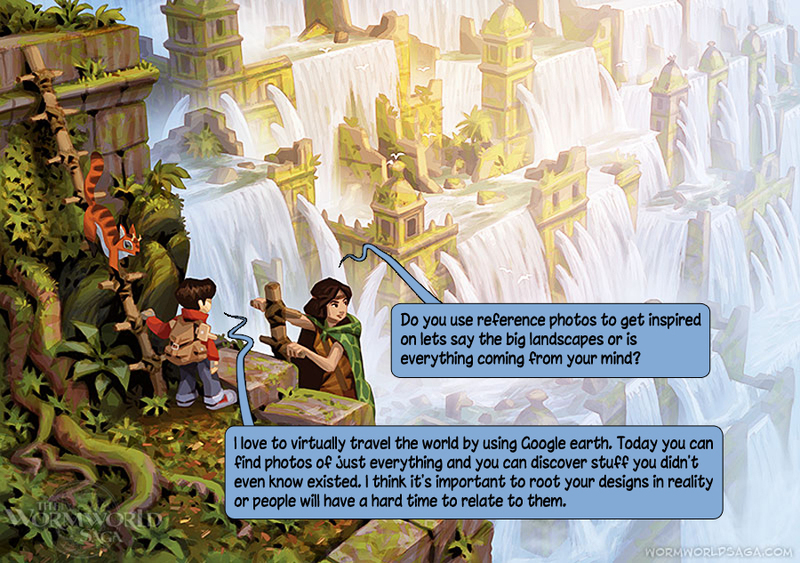 And the fact that you can create your own virtual world with paintings is fascinating in itself. So, I wouldn’t say that I prefer one way to paint over the other. Instead I try to bring certain abstract qualities to my representational artwork concerning style and workflow. I’m constantly experimenting with the level of detail and different techniques to achieve the ‘perfect look’ which I haven’t reached yet if you ask me. But that’s ok. If I look at other artists work I can clearly see that it took them 10 years or longer until they had reached their perfect style. I regard the last 10 years as a playground on which I tried a lot of different stuff. Only recently, with my work on the Wormworld Saga, I’ve started to really work hard on developing a distinctive style. 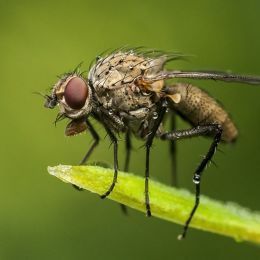 Your backgrounds are filled with “suggested” details, is that (in your opinion) what makes the difference between a good image and a perfect image? How many time do you spend on one image on average?